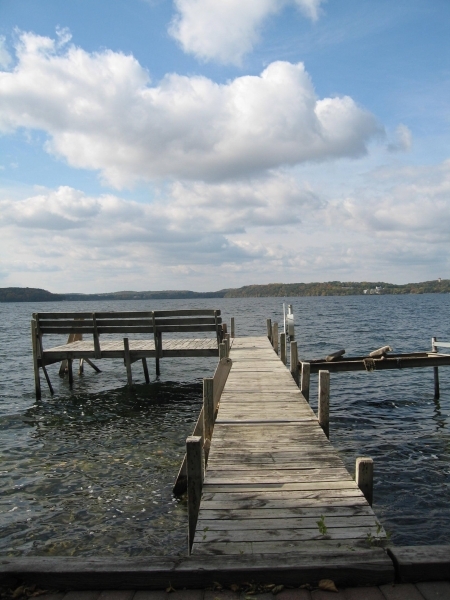 Different locations of WI all offer a vacationer a different experience. Plan your perfect vacation by choosing a location suits your vacation needs. 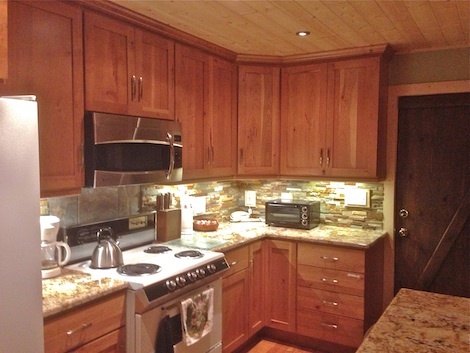 Perfect #Vacation For Those That Love to #Ski and #Golf-Beautiful Vacation Rental! The holidays are put behind us another year so how do you plan on passing these winter months away? Easy!!! 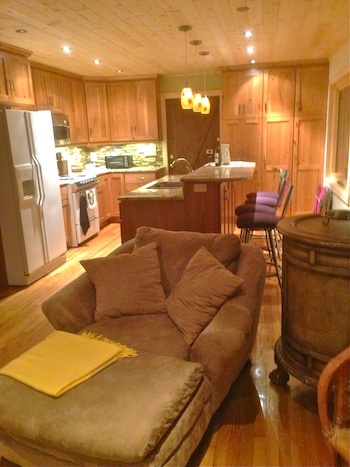 This ski lodge condo is just the answer if you want to hit the slopes skiing or tubing and boarding. This is truly a winter lover’s magical place. You know what’s even better? 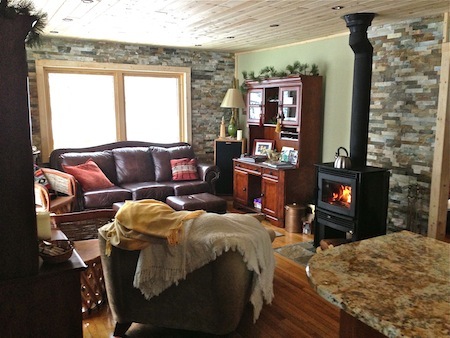 This 4 bedroom vacation rental is pet friendly, letting you bring your dog along to play in the snow as well! This ski resort is only 4 hours away from the Twin Cities and Madison in Upsom, Wisconsin! Trade in the sloshy streets and frozen windows and get outside where pure bliss is waiting no matter what the time of the year it is. The Whitecap #3 condo doesn’t limit you to just the ski slopes but it also provides you with plenty of access to snowmobile trails and cross country terrain. Looking for a different time of the year? This tastefully and fully furnished condo also sits on the resort’s very own 18 hole golf course. 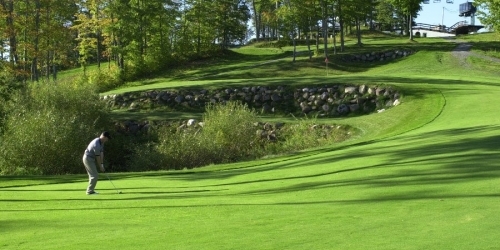 This is a truly incredible course due to being on top of the mountain looking into the vast lake of Lake Superior and the Apostle Islands. Very few golf courses can replicate scenery like this. Back at the lodge itself, enjoy the swimming pool, disc golf, free WiFi, and hot tub. 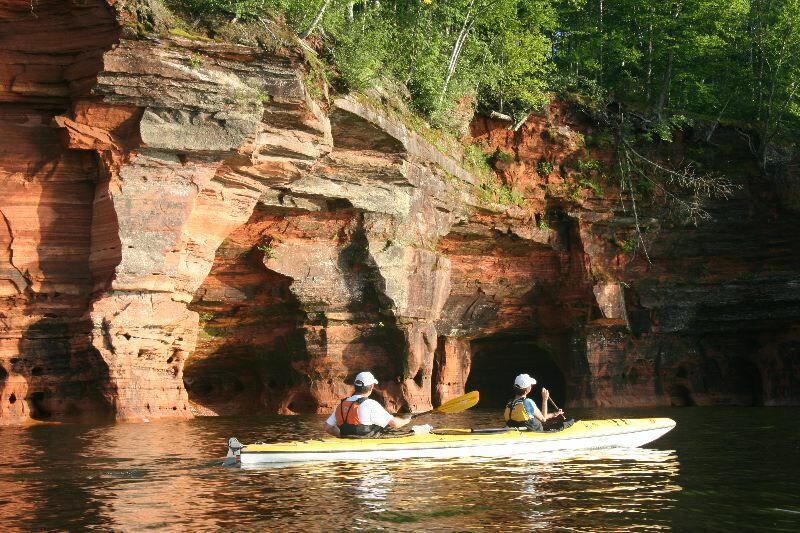 Being so close to Lake Superior gives you other recreational activities that can fully complete your vacation such as deep sea fishing, sailing, sitting on the beach, swimming, or paddle boat your way around. 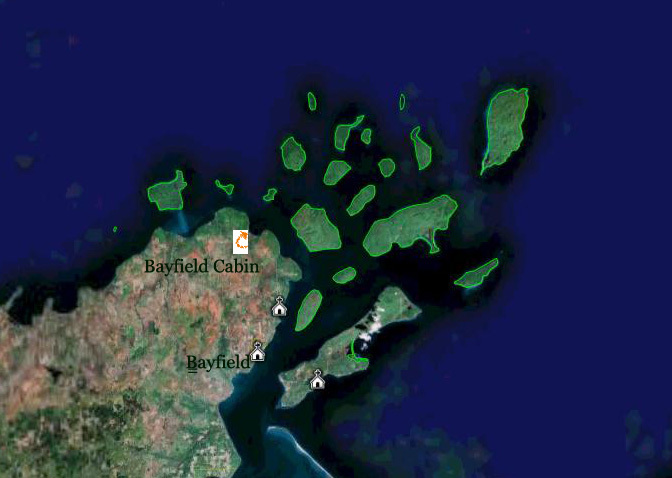 Nearby, you will find some of Wisconsin’s natural beauty of waterfalls that cascade over, 200 miles of ATV trails, Bad River Casino and the Apostle Islands. 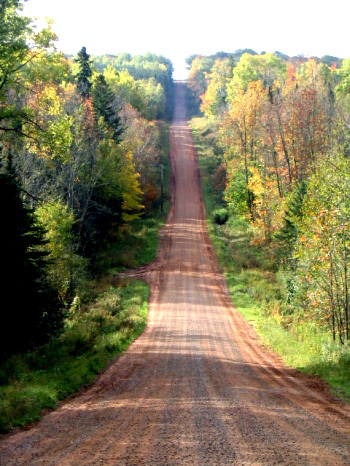 We could keep going but chances are- you already left this blog to view the listing to grab a week away at one of Wisconsin’s finest condos! #FamilyVacation? Affordable? Yes, It Can Be Done! 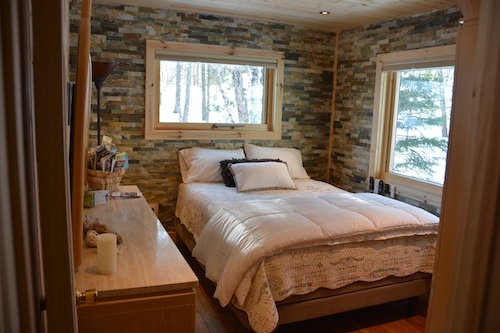 We are introducing quite a few new cabins around here and were pretty giddy about showing them off! One that we are excited to announce is Deerfoot Lodge in Hayward, Wisconsin. 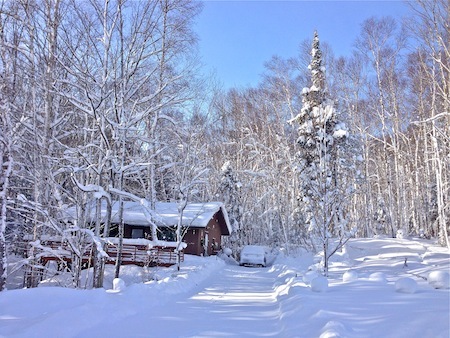 This lodge is the summer vacation with sandy beaches and a winter fairyland in the winter. Good news! It’s open all year round! Have you planned your next Hayward vacation yet? 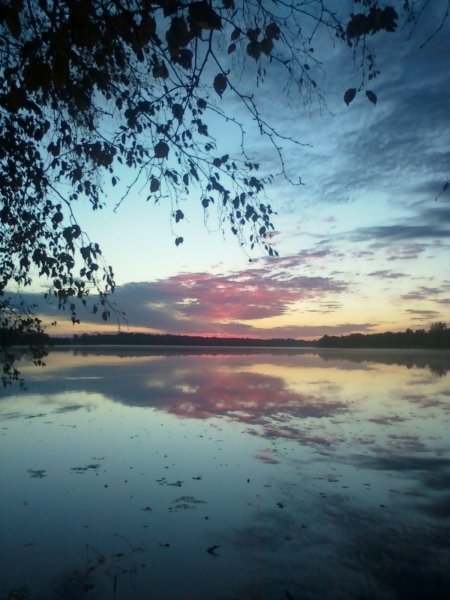 Located in Hayward, one of the most highly anticipated destinations in Wisconsin, this area is home to the most amount of trails, hundreds of lakes, and an array of recreational possibilities that you will create lots of new memories here! This lodge is unique in several different ways. When you are planning your budget friendly family vacation, this could be your answer! 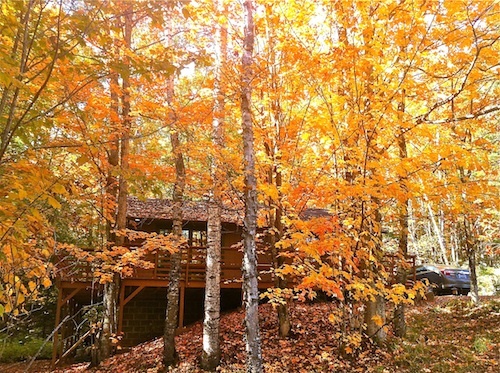 This lodge is part of a multi-cabin resort that has many amenities that are perfect for a family vacation. Check out the WiFi, on site bar and game room, Satellite TV, and air conditioning. This features make it easy to prepare for a great vacation or extended stay. 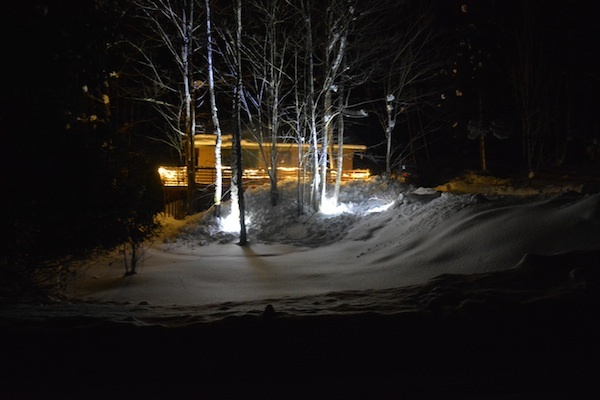 Deerfoot lodge and motel are one of the only resorts that have no minimum number of nights. Besides those great incentives, the rest of this lodge has much more to brag about. 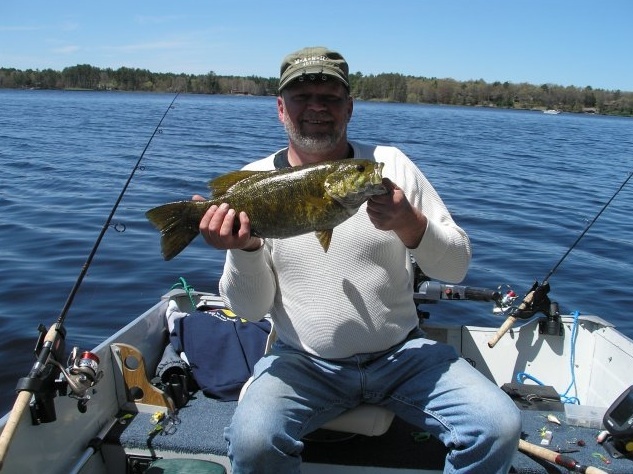 Deerfoot is centrally located in the middle of the popular Chippewa Flowage, making it a fisherman’s paradise. 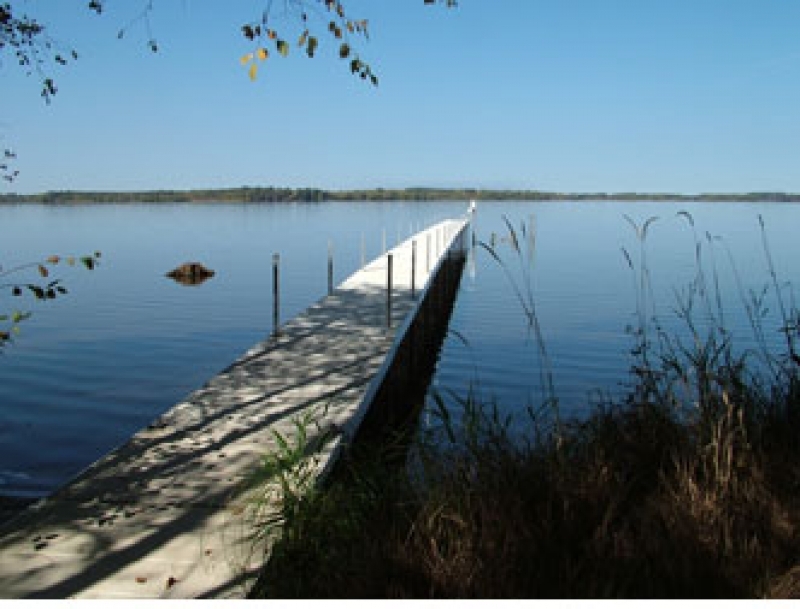 This lodge even provides live bait, electricity to charge your boat at the private pier, boat ramps, pontoon rentals, and more amenities that make this vacation a breeze! For the family members that like to stay close to the beach, you’re in luck here! The beach is the hot spot to be at here! There is plenty of room to bring your towels and toys and make sandcastles and let the little ones play. Even better, it is a level sand beach so there are no surprise drop offs! There is even a nearby playground for the little ones. Looking for organized activities, things to do and events in the Hayward area and at your lodge? 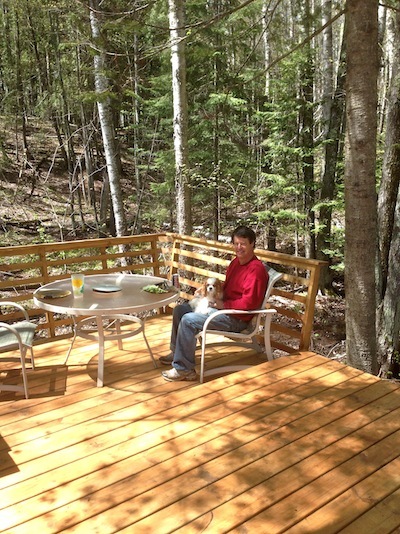 This vacation is complete with dart tournaments, fishing tournaments, the Birkebeiner, snowmobiling (Deerfoot is located on trail #18), swimming, biking, hiking, golfing and shopping. You truly can have it all, no matter the weather here in Hayward!